How to Build a Burrito Bomber: The "World's First Airborne Mexican Food Delivery System"
There's even this image taken by NASA of an X-Ray nebula that exists 150 light years away. 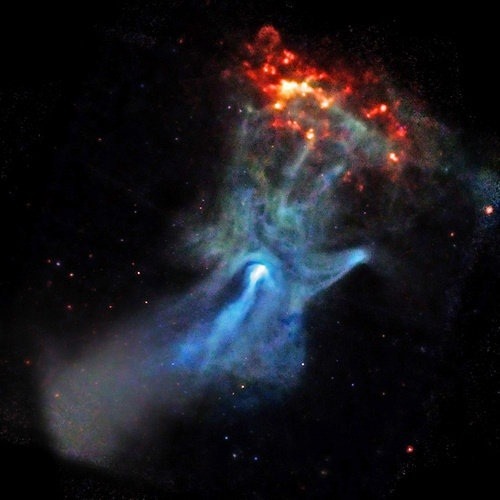 NASA says the display in the image is caused by a young and powerful pulsar and that the finger-like structures are caused by "energizing knots of material in a neighboring gas cloud". But we know what it really is. It's God reaching out for a deliciously fiery burrito, likely filled with lots of salsa roja. 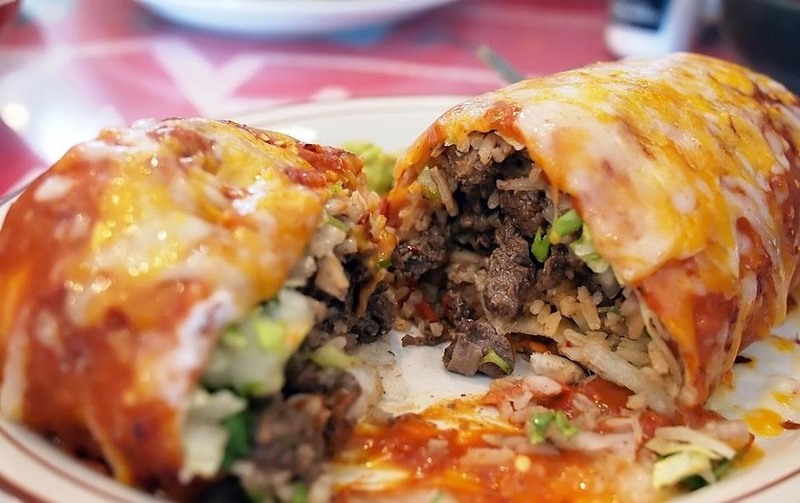 The fact that burritos are so compact and on-the-go-friendly makes them a delight for anyone. Not to mention the carne asada packed inside, with beans, rice, onions, avocado and chile. It just makes for a completely delicious and flavorful meal, at any time of the freaking day. That's why it's not much of a surprise that a few dudes from Darwin Aerospace have now created "the world's first airborne Mexican food delivery system" in order to expedite the process of burrito to mouth. With the help of a SkyWalker X8 Flying Wing model airplane, these guys were able to deliver burritos through the sky and have them dropped off at a specific location. 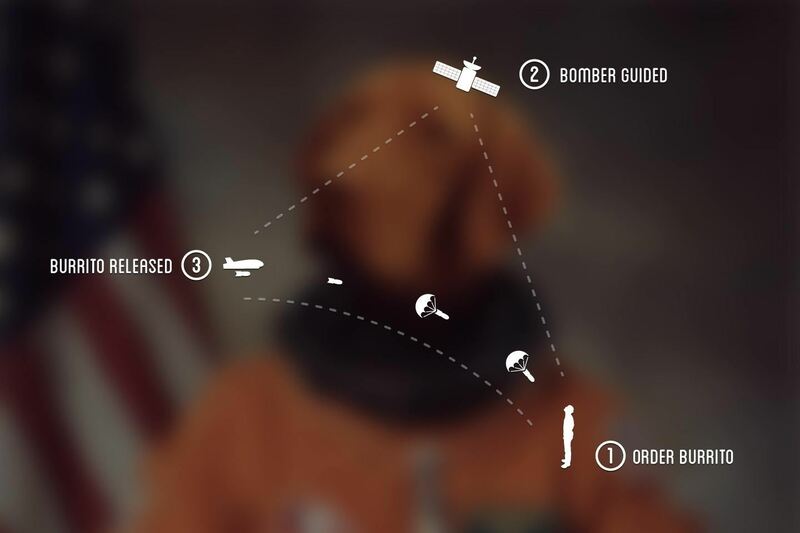 The plane, which can either be controlled manually or autonomously, receives a signal from a smartphone app to figure out the user's location and then parachutes the burrito safely down. 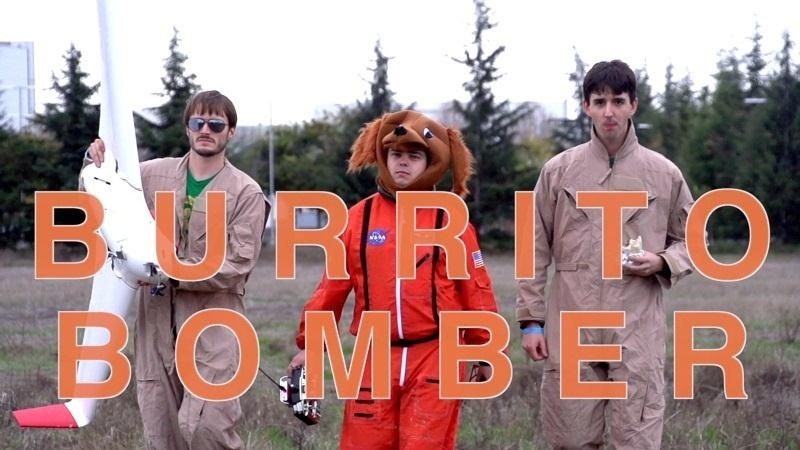 Check out the video to see the Burrito Bomber in action. Pretty sweet, no? Well, obviously the world needs more of these, so if you want to make your own, you can find all the coding, 3D models, and tools over on their GitHub page.